Cyanuric Acid (Stabilizer) 0-250 ppm. This test strip is a dip-n-read strip with instant results. 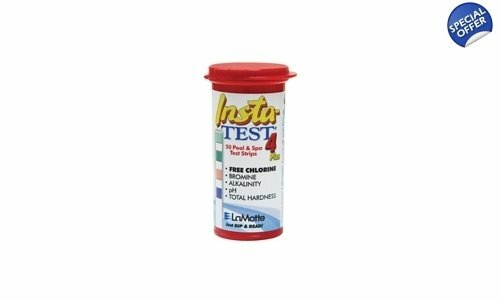 The Insta-TEST Pool 4 Plus strip is the ideal pool strip allowing the user to measure the most important test factors. The test strips are packaged in a waterproof yellow PopTop bottle with a molded desiccant liner, which protects the strips from moisture and UV light.